As I mentioned awhile back I’ve been dragging my feet some painting up my SAGA warbands. 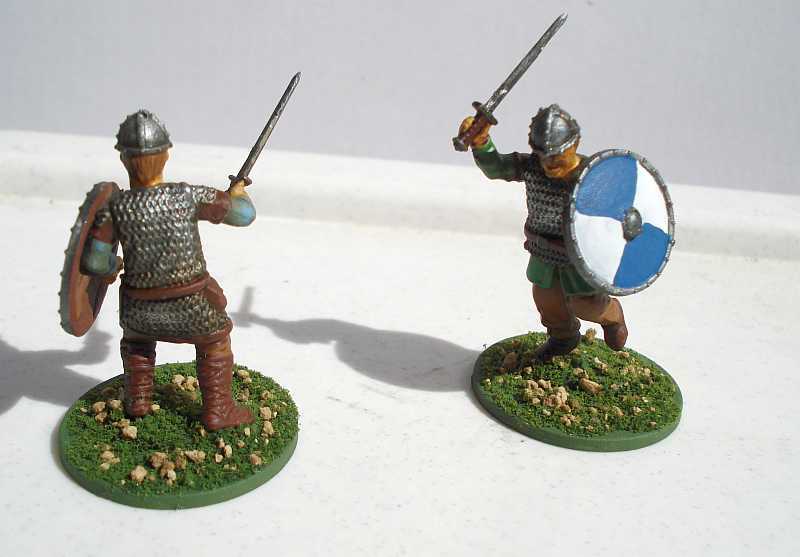 I wanted to have some flexibility with my models and opted to pick up a few more sets of figures to build both Anglo-Saxon and Anglo-Dane warbands. Further a lot of battle board abilities for Anglo-Saxons revolve around 10 man units. Having a lot of warriors seems the way to go, so I wanted quite a few models to explore these abilities more. 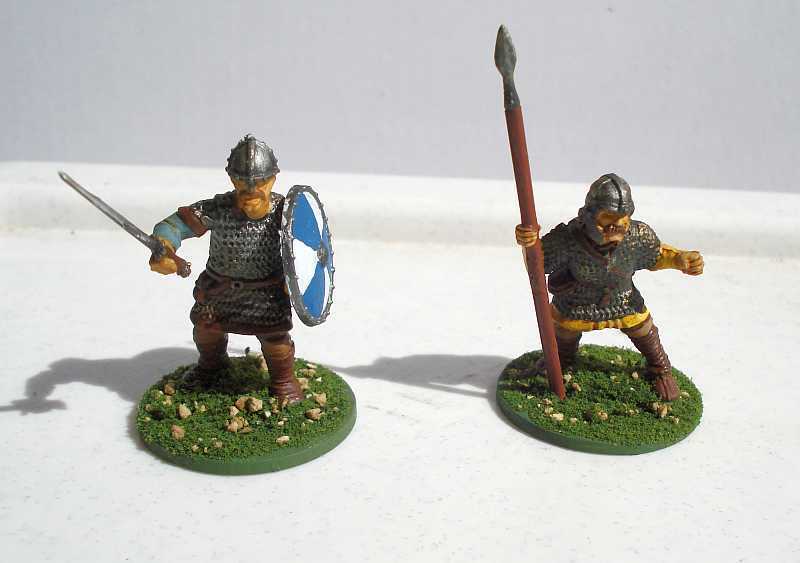 Wargames Factory’s Saxon Thegns come 32 figures per box. There are plenty of head, shield, and weapon options. A few standards and horns are provided. While not specific for SAGA you also get a lot of bows which are great for other game systems (cough…Frostgrave…cough) and if looking to combine this with other plastic unarmored Saxon sets, a good way to have plenty of bows for your levies. There are also hefty 2 handed Dane axes allowing you to deck out some hearthguard if wanted. My one complaint with the weapons would be that the spears look a little anemic. My other complaint would be the necks of the models. The manufacturer suggests cutting down the neck some before assembly. This is a bit of a pain and can be difficult to get just right. Fortunately the models are plastic and with the right amount of glue and pressure, you can get them assembled in due order. I would recommend going for a more viscous plastic cement. The figures fit well together, but you might want to fill the gaps in some for the arms. The hands are modeled open to allow different arms to be placed in. The thumbs look a bit odd sticking out but once you’ve got weapons set in the hands, they don’t stand out. Overall the models assemble pretty easy aside from the slight hiccup with the heads. The detail on the figures are not bad. Some of the body and arm details are muted, but overall they look good. You basically have 4 bodies for the set. Yet with the options for heads and arms, along with different angles you can assemble them, the end result is enough different poses to make up for the lack of body types. One more ding to the set is that no bases are provided. So expect to buy some bases along with the box. 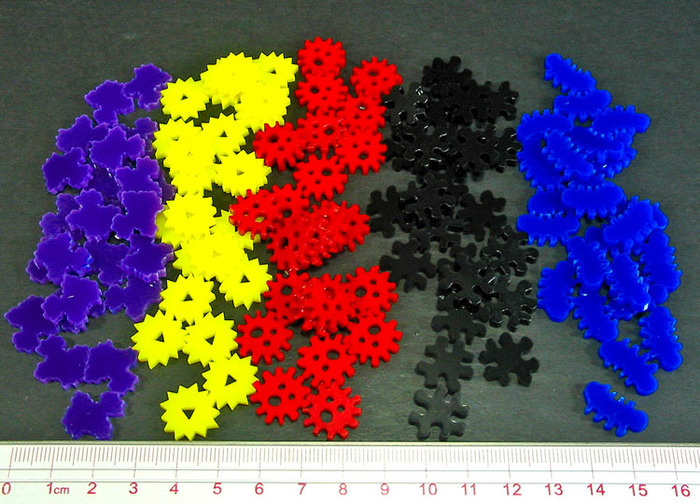 Another manufacturer out there for medieval plastic sets is Gripping Beast. Likely people will want to know how well the 2 figure lines compare. The pic below is from each company for Saxon Thegns. 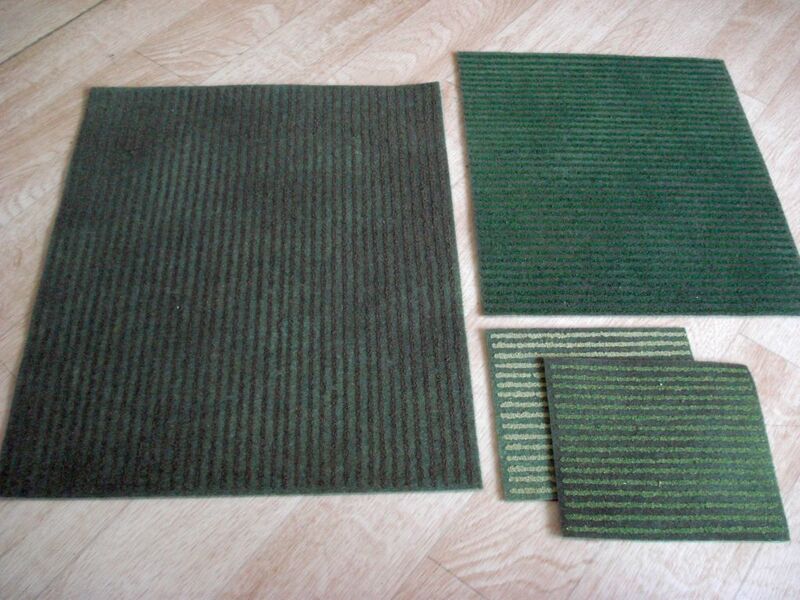 The one on the left is from Wargames Factory and the one on the right is from Gripping Beast. I think they are very comparable for scale and can mix and match them freely. If anything the Gripping Beast figures seem a little more stocky in the arms and shoulders. Yet once painted up and based, they don’t really stand apart from each other. There are a lot of positives for the minis in this box. 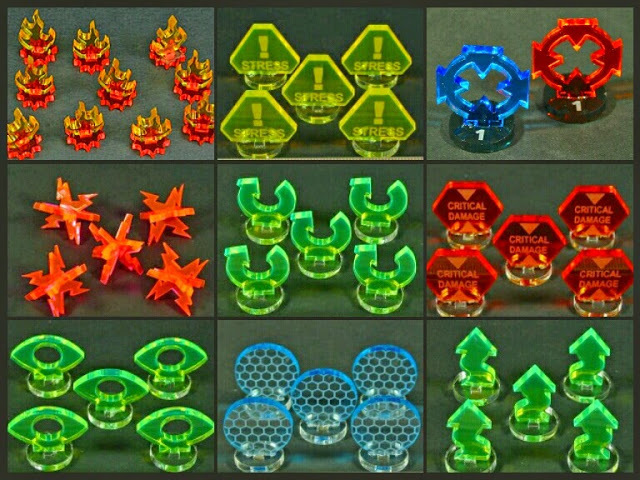 The Wargames Factory kit does have a lot of different weapon and shield options. The head choices aren’t bad (though are a chore some to glue onto the bodies). The price is also reasonable for what you get and I’m glad to have picked them up. However, I’m on the fence about recommending these Thegns. They aren’t bad figures. It’s just that for armored plastic Saxons I think there are better options out there. While I enjoy SAGA I need to admit Frostgrave has sort of taken over my painting drive. I assembled my SAGA warbands a long while back but actually giving them a coat of paint has been a chore. I’ve really been dragging my feet on them. Love the game but my spark for painting the figures consistently seems to flare up for only a few days and then die down to a smoldering ember for months. 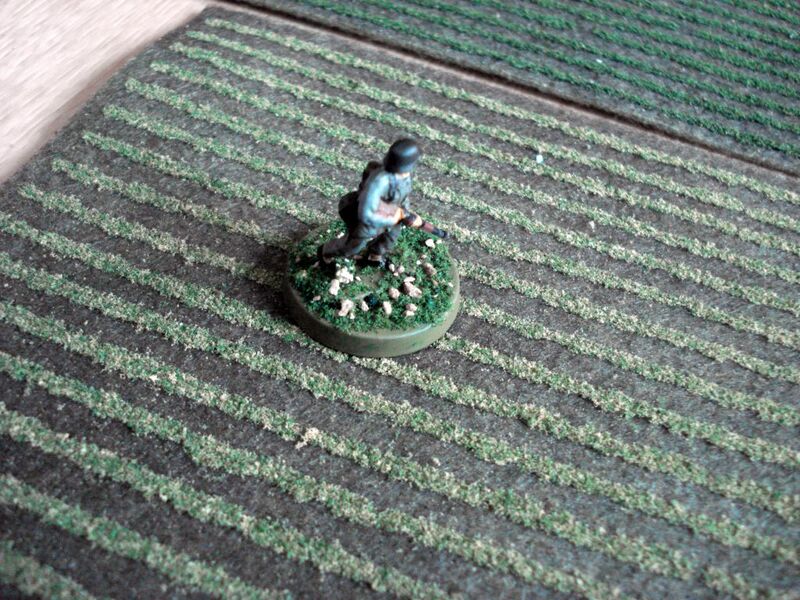 But I’ve managed to get some troops painted up. One big draw for me getting into SAGA was the relatively low model count and cheap options for figures. I decided to pick up a few sets of Saxon Thegns from different manufacturers as I wanted to build both Anglo-Saxon and Anglo-Dane warbands. That way I could switch around some of the hearthguard and warlord models, but keep much of the core force of warrior models the same. I opted for one box of Gripping Beast Saxon Thegns. They are a nice set of plastic figures for a decent price. You get a whopping 44 minis, including a sprue to make a standard bearer, horn blower, and some details like a cloak to deck out one model making it your warlord. For Anglo Saxons a lot of battle board abilities revolve around 10 man units. I’ve puttered around with a few hearthguard but I’m now leaning towards using more warrior units to take advantage of the 10 man abilities. 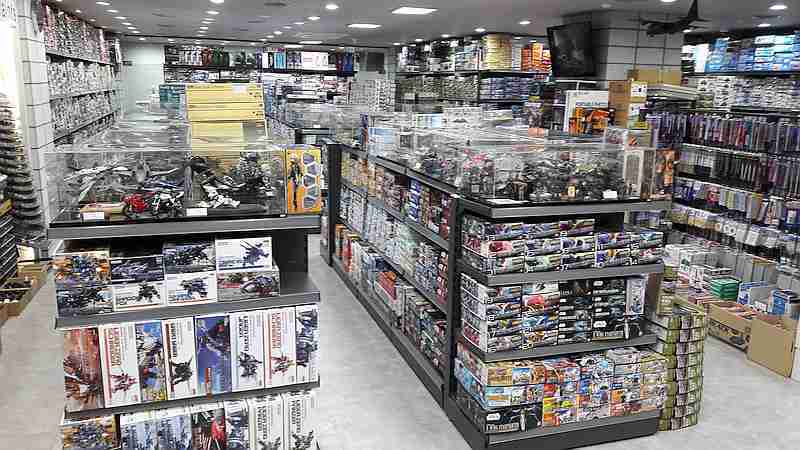 So having a lot of extra figures is welcome. The plastic figures are well detailed with some nice armament options. You get 5 bodies per sprue with a few extra to make up the command elements. They assemble well and are pretty easy to glue together. 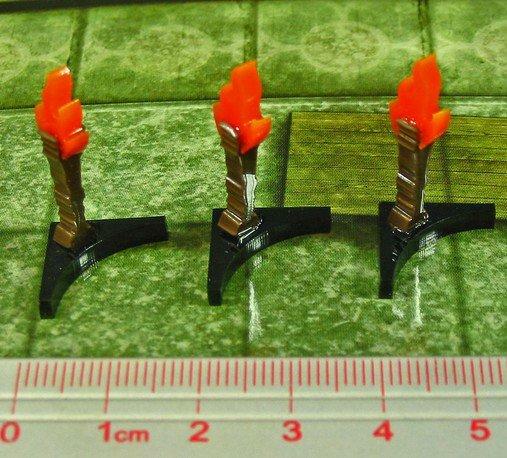 Square bases also come with the set including some larger bases for single ranks. I’m using round bases instead but it’s nice to have some included in the box. I’m no expert but the gear and figures seem historically accurate and it’s nice to see a ton of spears in the set also. I’m slacking on the historical accuracy some though. To keep things clean with WYSIWYG with the warrior units in SAGA, I’m keeping them in mail armor and dropping the shields. This is passable with the figures I’ve got, but I’ll admit the right arms are sculpted to accommodate shields. I decided to base them without shields, saving those for the hearthguard. 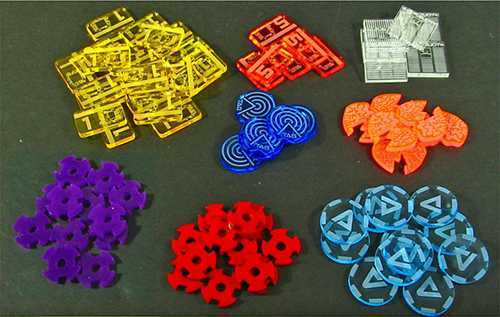 Now another manufacturer floating around with nice medieval plastic sets is Wargames Factory. I imagine a lot of folks would like to know how they stack up and could you mix and match them. 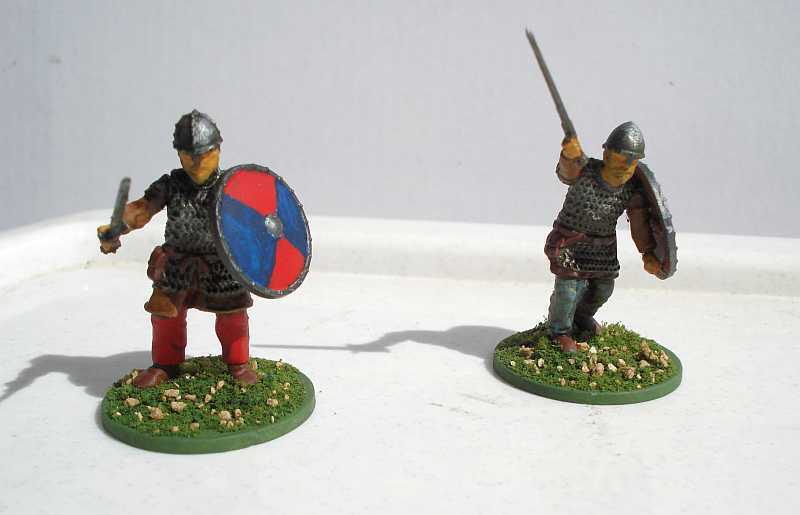 The pic below is of two Saxon Thegn figures from each company. 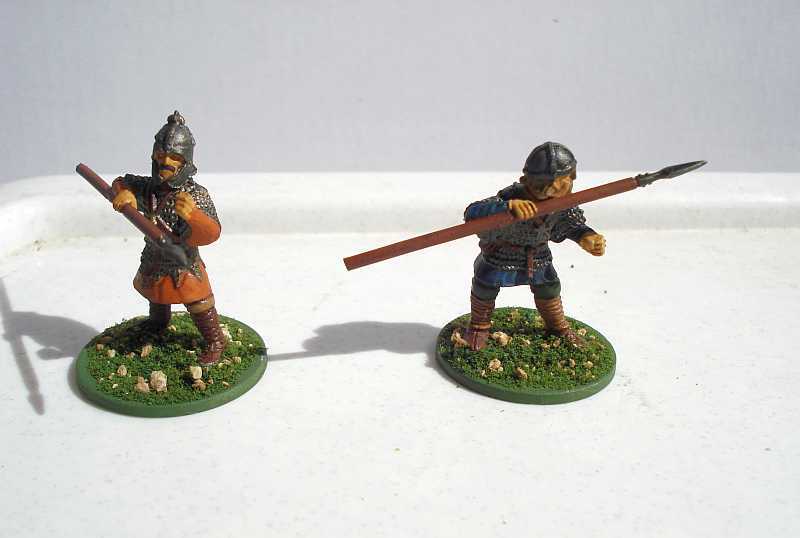 The one on the left is from Wargames Factory and the one on the right is from Gripping Beast. I think they are very comparable for scale. The Gripping Beast figures seem a little more stocky in the shoulders and arms, but painted up they don’t really stand apart from each other. Overall if I was pressed to stick with one set over another, I’d go with Gripping Beast figures. 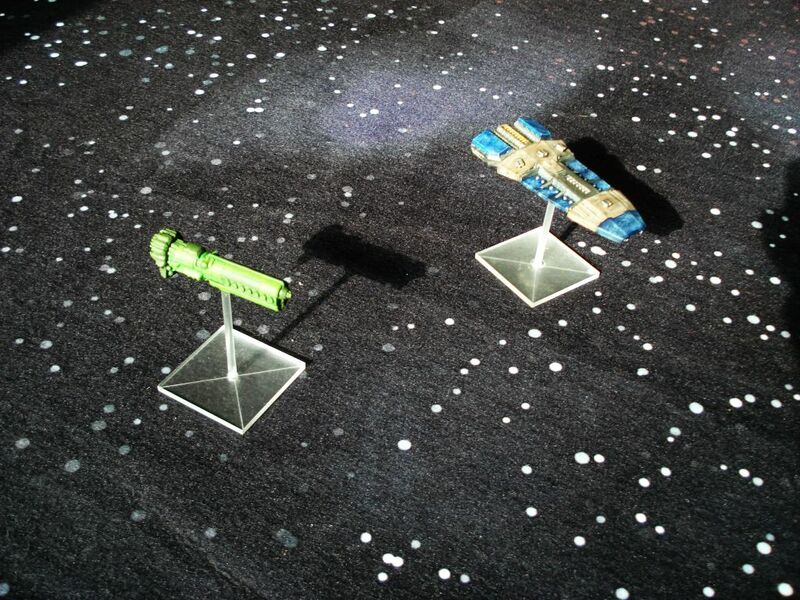 The minis have a little more detail. There are some nice small bits that stand out (like necklace crucifixes) with the Gripping Beast Saxons. They really are fine minis for a good price and work great for getting up a core force of rank and file figures for your SAGA warband. My Bolt Action platoons are shaping up and I’ve been on a bit of a kick to get some terrain whipped up. One thing I sorely wanted were trees. However I’m just not able to bite the bullet and pony up cash for them. 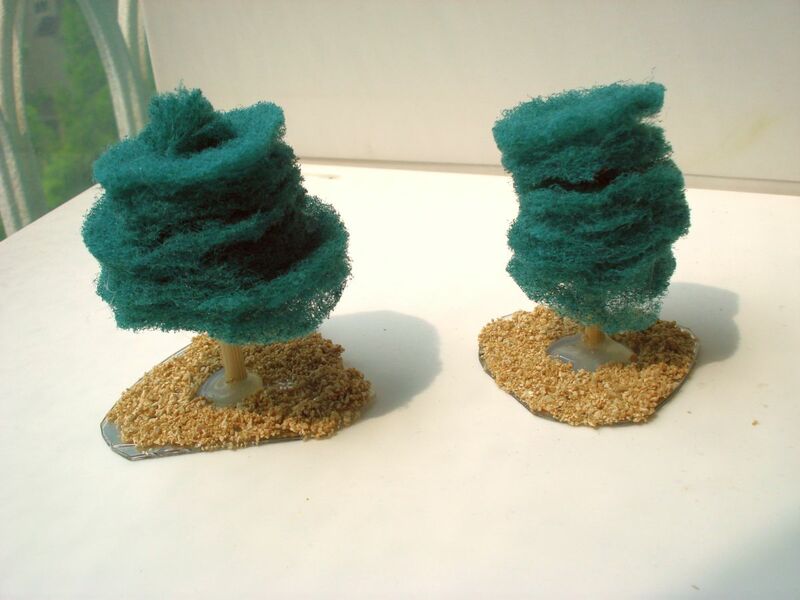 Looking around for pre-made scenery, trees are a bit expensive. 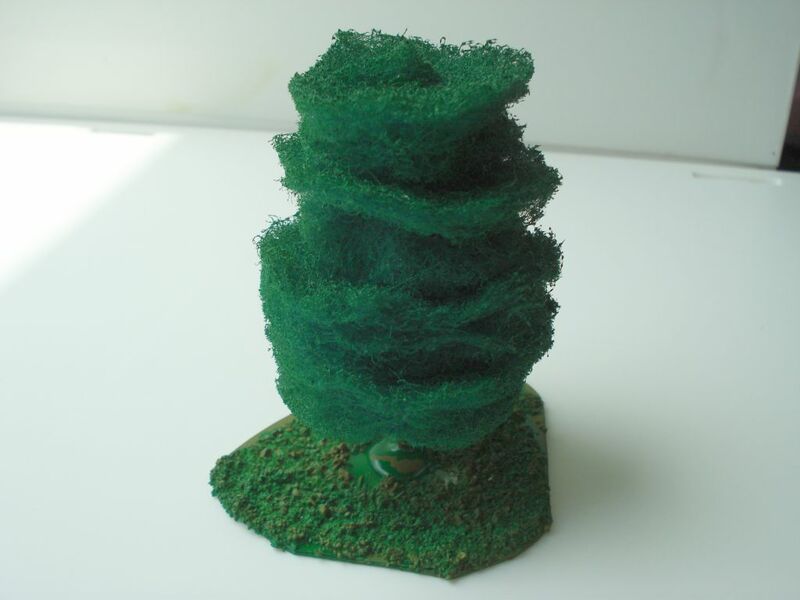 A long time back I had gotten a bulk pack from woodland scenics where you could construct your own trees. It was a mess to put together and while great for a diorama, it just couldn’t handle the wear and tear for my wargaming table. 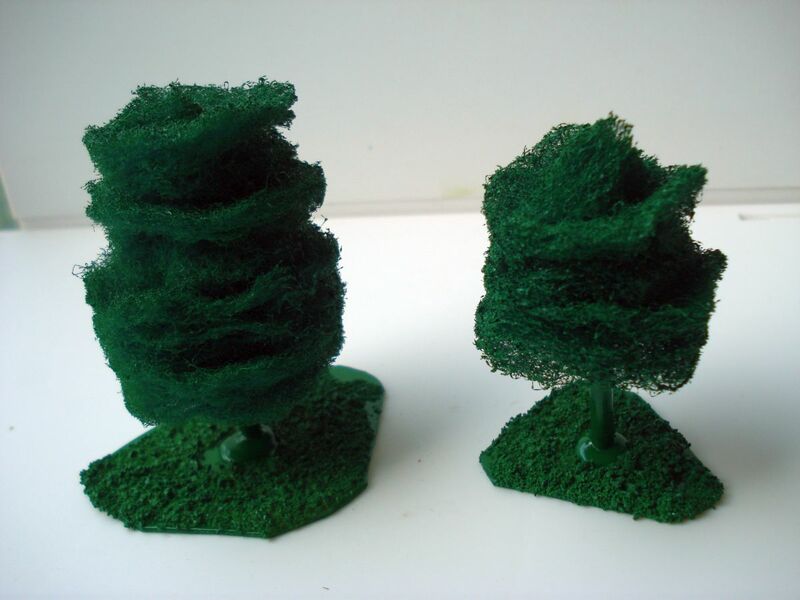 One tutorial I dug up described using cleaning pads for pine trees. 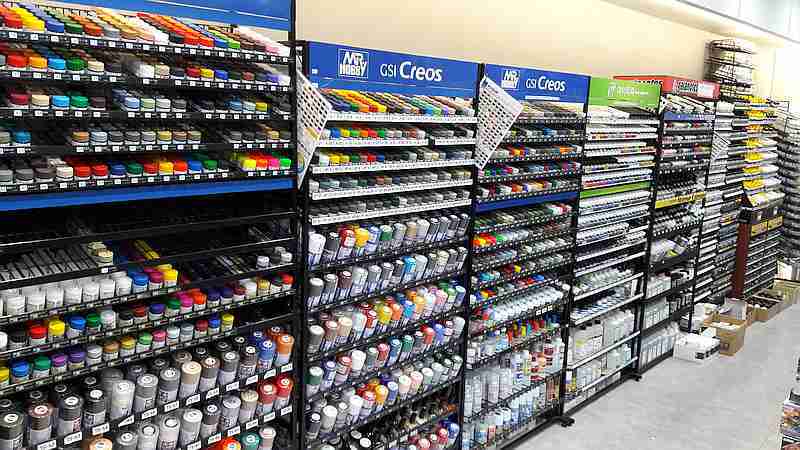 Just right for my budget, so I jumped right in and looked into making some up. 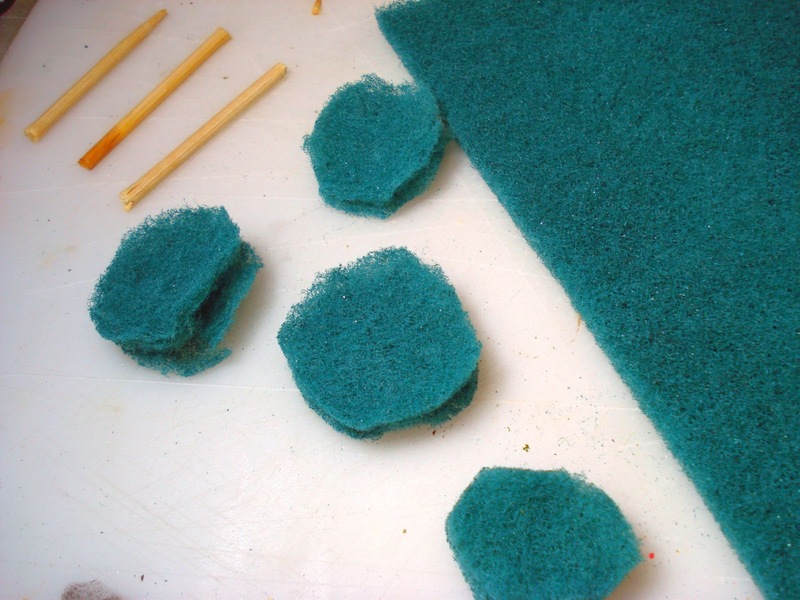 I picked up some scouring pads for less than a dollar and kept some skewers from some street food after a late night of drinking. I liked these skewers as they were thick ¼” diameter wood pieces. I cut the pads into rows and then in approximately 1 ½” to 2” squares. I then trimmed the square pads into rough circles. I made sure to save a lot of the small corner bits of pad after cutting the major sections into circles. Some of the pads I cut into smaller circles of about 1 inch to serve as the top section of the tree, and followed this up by cutting the tree ‘trunks’ into 3-5” lengths. I found while larger trees are more realistically scaled, they are almost too big for wargaming. As the I had to get the center wooden piece through the pad sections, I made a small cut in the center of the pads. Then came the more tedious bit. 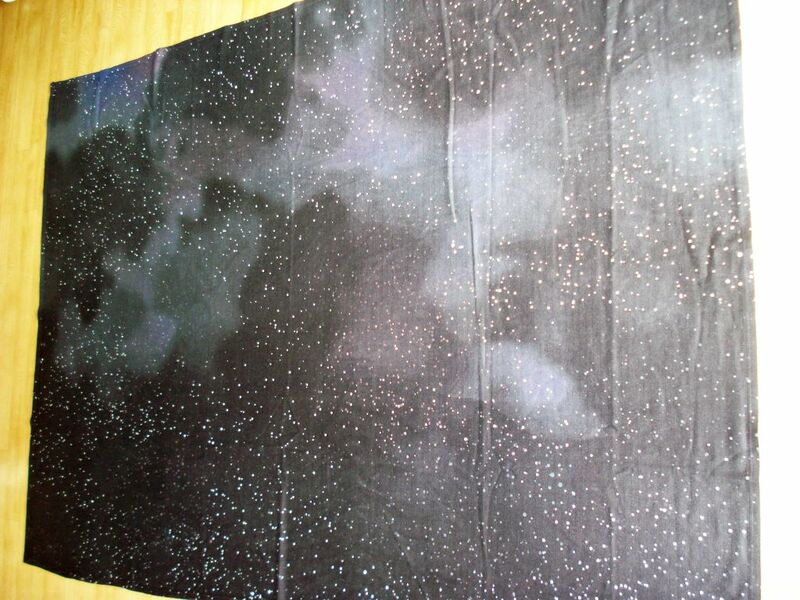 To give the pads some bulk, I teased apart the pad material for each section. This would almost double their thickness by simple pulling the material apart some. With a hot glue gun, I added a dab to the center dowel and skewered a single pad section, moving it down to little over ½ the length of the wood. I repeated this, adding more glue higher up the wood shaft, adding more sections. I ensured the last section was a smaller diameter circle piece. All in all, I found 4-5 pad sections was enough for the trees to give them some bulk. For the tops of the trees, I used the leftover parts of the pads from making the circle sections. Really teasing them apart, I could add 2-3 sections to the center wooden piece after placing some hot glue. This gave a nice small tapered top to them. To mount my trees, I cut up some old software CDs, carefully rounding the edges. I placed a thick drop of hot glue in the center and then set the tree on the base. I decided rather than using watered down PVA and flock for the bases, I’d use a drybrush over a layer of modelling ballast. I wanted to do this partially to keep from getting flock all stuck up in the trees and also to ensure the trees could take a little punishment with storage and transporting. I put down a layer of watered-down PVA glue and after letting the model ballast dry, set to painting it. 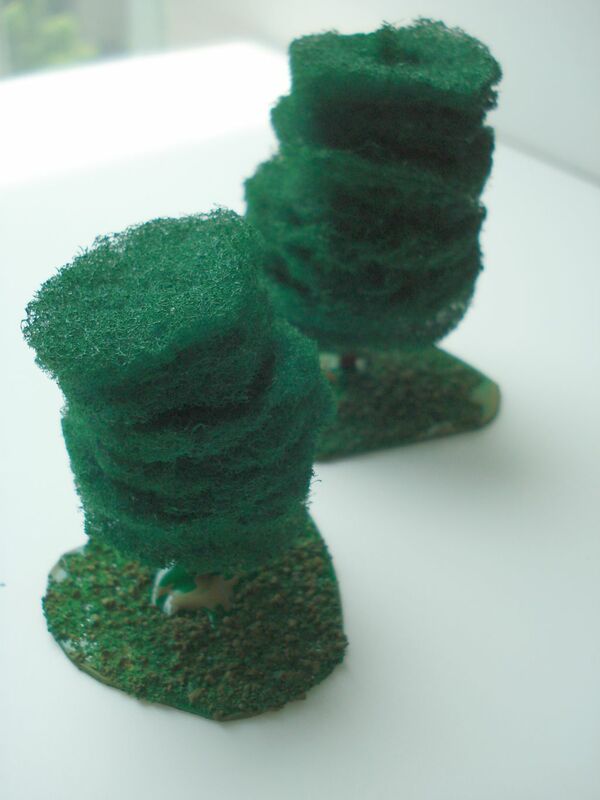 I gave each tree a good coat of green spray paint. 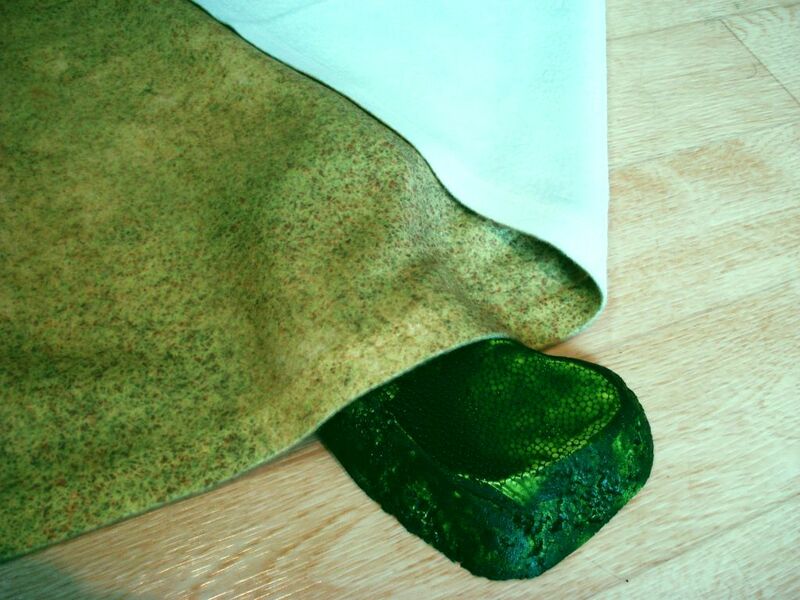 A nice part of this is that the paint will also act as a sort of cement for the ballast, and stiffen up the pad sections of the tree too. After letting them dry, I painted the trunks a nice brown coat, and followed it up by drybrushing the bases with a lighter green to simulate grass and low brush. More chunks of flock could be added if needed, but overall I liked the effect it gave. Note I did not highlight the trees any. I feel one solid color, with potentially a wash was enough. Drybrushing the tree leaf sections would likely only highlight the overall pattern of stacked pads even more. 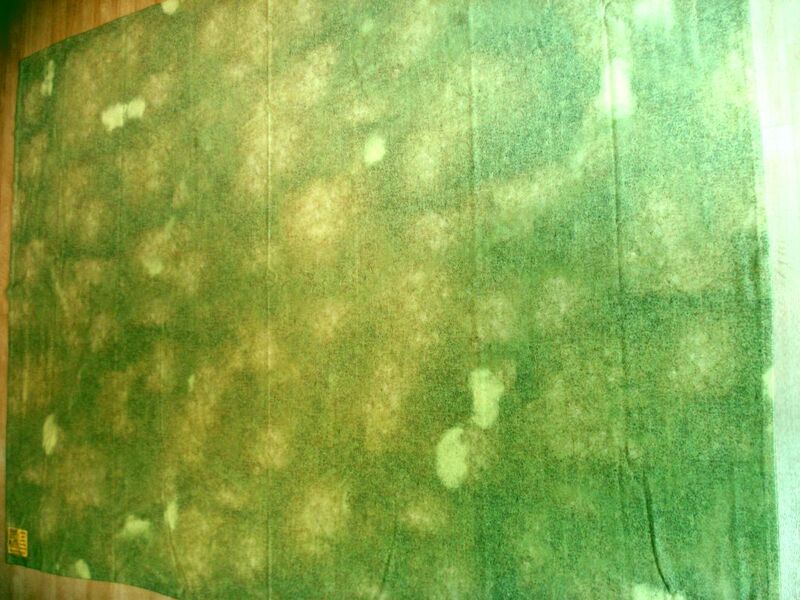 With one solid, uniform color of green, the detail of the tree leaf sections are muddled some. 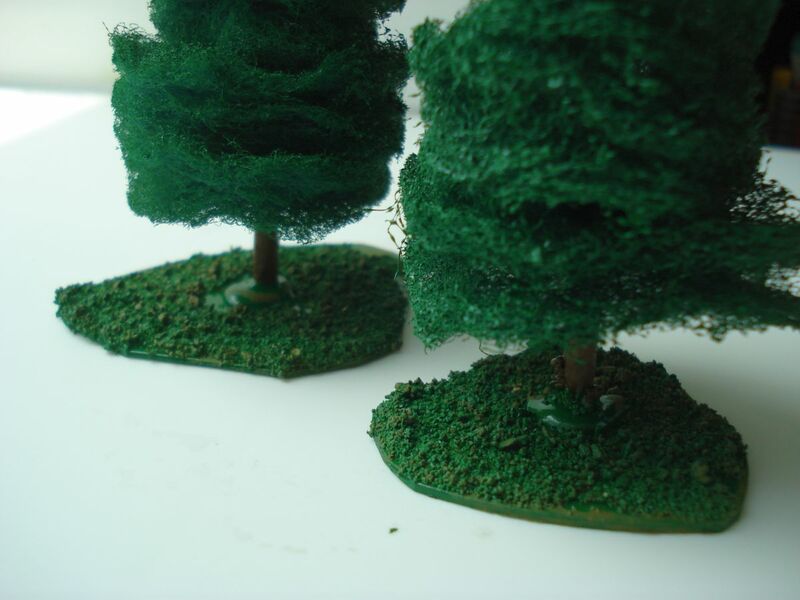 Afterwards I went ahead and gave the trees a matte varnish spray. I think they look pretty decent and you simply cannot beat the price. I may very well likely pick up a few model trees and expect if I mix them in with the lot I made, they will look even better on the tabletop. This was a pretty fun project and an evening’s worth of work (minus the time needed for letting the trees dry due to spray painting). Now to just get some more games in! I never really had the calling to get into ancients or medieval wargaming. A long while back I was into Warhammer which seemed to scratch my itch for medieval-type gaming. Big blocky units moving in formation, a crash of cavalry in a wedge charging a flank, rows of archers and siege weapons, it just was more fun for me to collect and paint minis for fantasy armies than a historical game. I dumped my Warhammer stuff years ago but lately I’ve considered getting into historical ancient gaming. However I really didn’t want to go the route of a huge army. 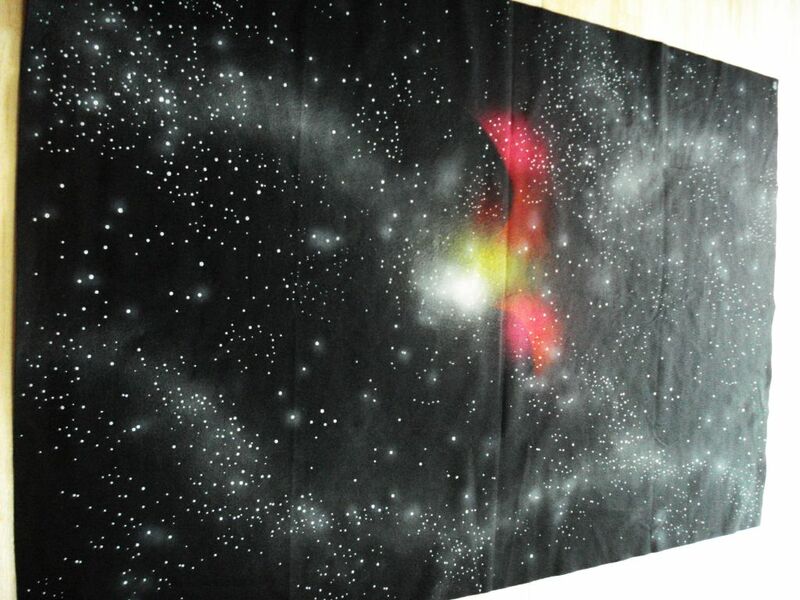 Maybe something smaller scale. So along comes SAGA from Gripping Beast and Studio Tomahawk. 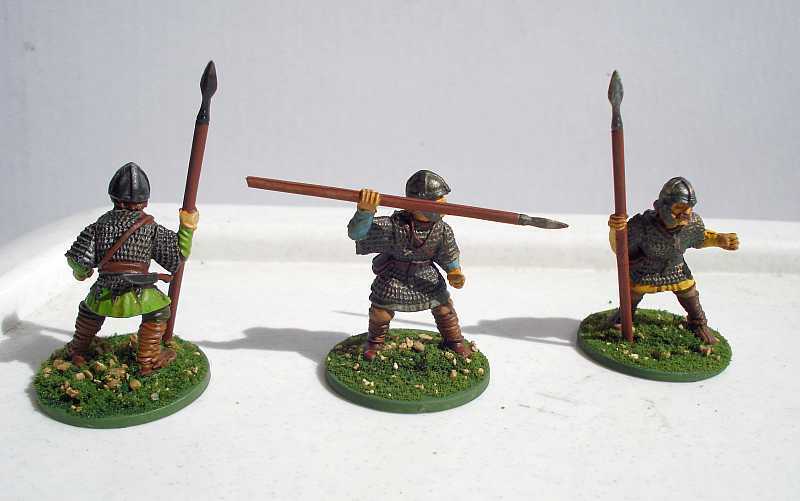 SAGA is a skirmish wargame set very loosely in the mid-11th century. Players form small warbands and battle it out over a small stretch of earth, pitting each warlord-led host against each other. True historical scenarios are somewhat thrown to the wayside and the game pretty much embraces a ‘what-if’ sort of vibe, which is just fine. You aren’t recreating historical battles here. It’s pretty much small unit action of a group of 30-60 men and mounted horses. 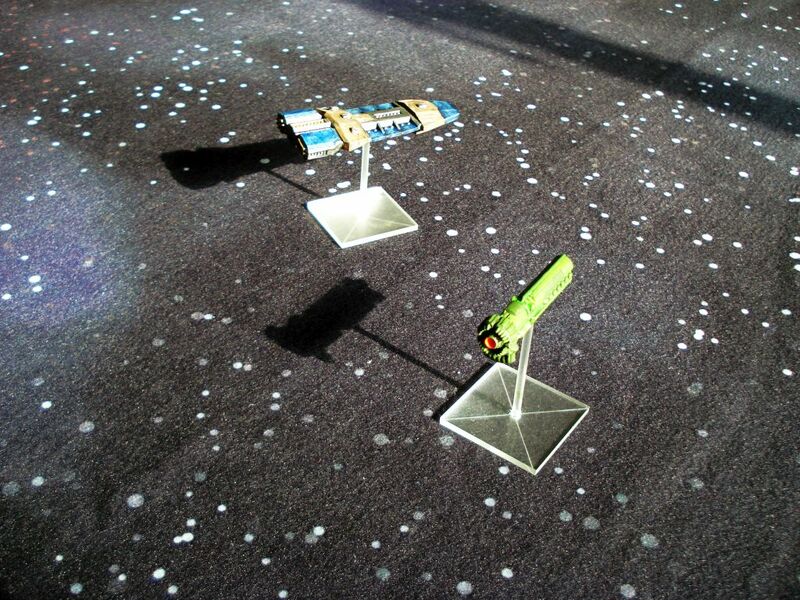 The scale is man-per-model and is about 20-28mm. Ranges are set increment range bands. So Very Short is 2″, Short is 4″, Medium is 6″, etc. with ranges maxing out at 12″. Movement is typically 6″ with shooting at maximum ranges of 12″. All references to distances use this nomenclature of range bands. 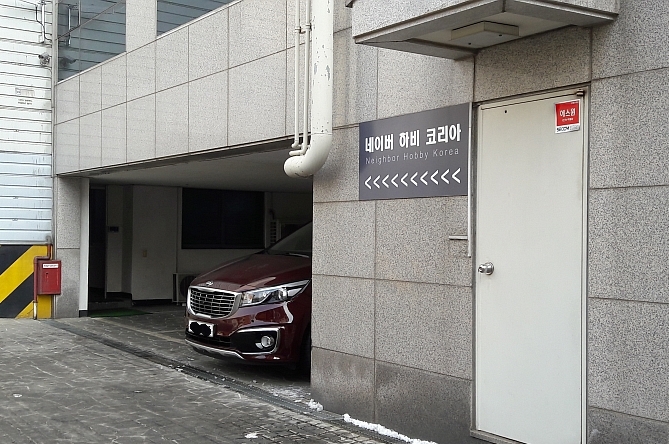 What is particularly nice about this range system is its flexibility. 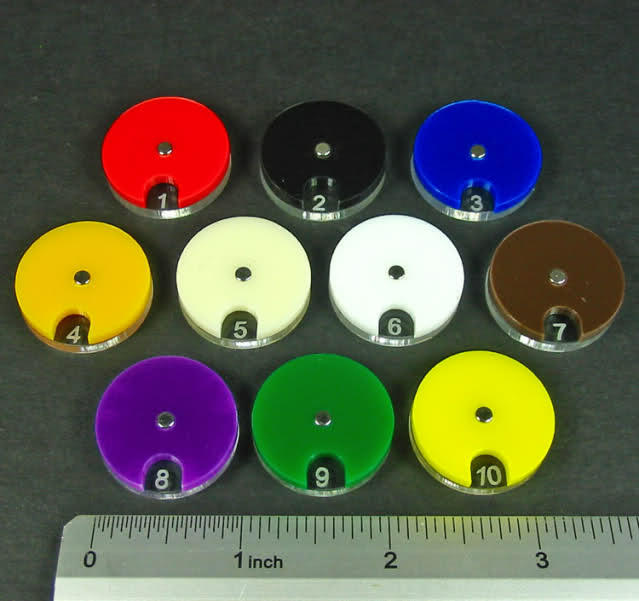 If you wanted to run a 15mm game, just alter the range band scales from inches to cm. Simple. A key component of the game is the battle boards. 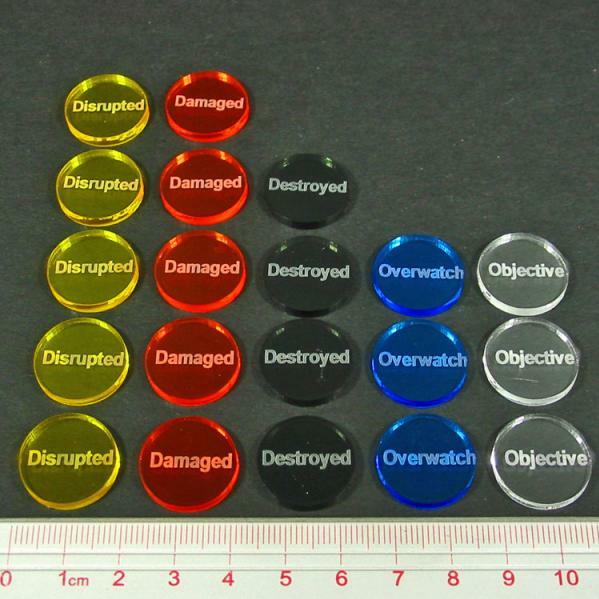 Each faction has its unique chart that describes the various actions and special abilities related to common tactics and characteristics of that group. 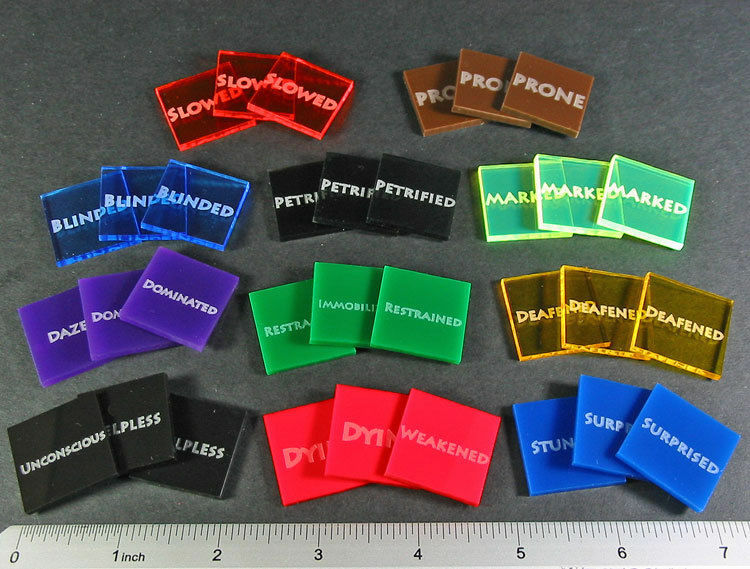 Players roll saga dice, these special d6 (although a normal six-sided die could also be used) and allocate them to different sections on the battle board. The saga dice themselves are 3 symbols unevenly distributed. Effectively one symbol represents 1-3, another 4-5, and the last symbol is a ‘six’. 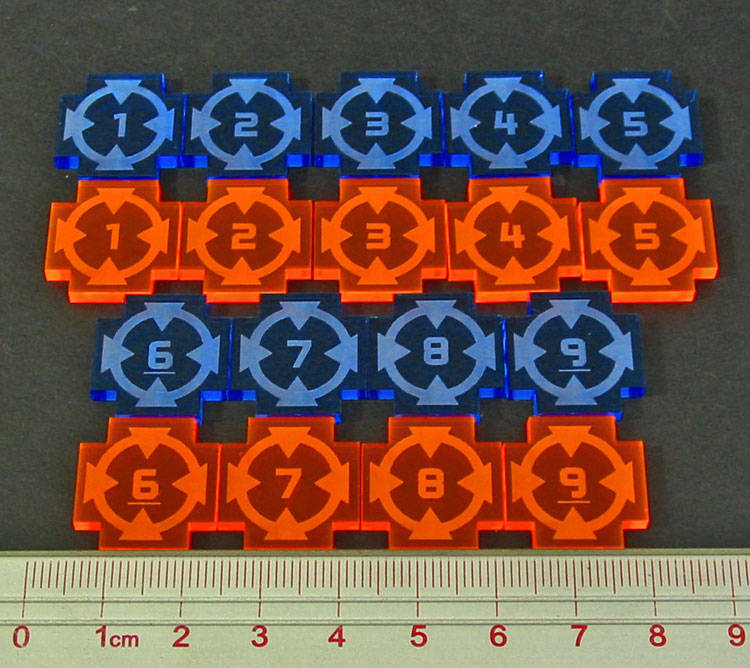 During their turn they spend upwards of 6 order dice removing them from the board and activating certain abilities (some allow more dice to be used up to a maximum of 8). 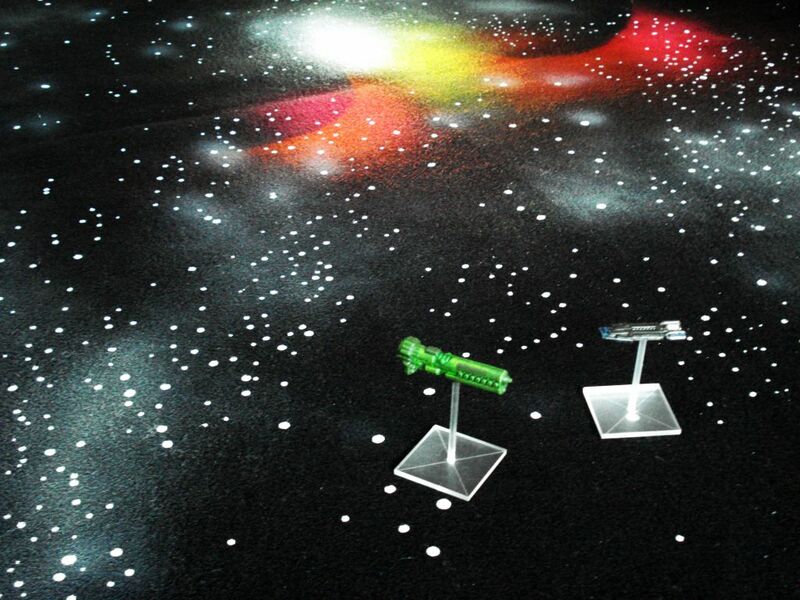 Once they spent the dice they care to, their turn ends and their opponent takes a turn doing the same. I love it. Certain units will only activate on a particular die range, with the most trained units being able to always activate. You have special abilities that enhance attacks. You also have abilities that can be spent on defense during your opponent’s turn. So deciding what dice to use for activating units and attacking, while keeping a precious few in reserve for your opponent’s turn is a key part of the game. 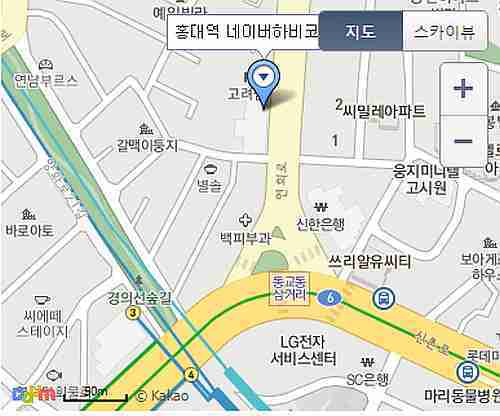 It’s a surprisingly dynamic system where you have to plan out attacks and be prepared for charges. As lesser trained levy units don’t activate as much (50% of the time) and they share an activation die symbol with more powerful combat abilities, in effect you have leadership become part of order dice allocation. It’s an exceedingly clever system. It builds in that unknown of not being able to count on poorly disciplined units when you need to. To bypass this, you have a warlord for your warband that can order movement to units within range. So if you really need to move those peasant archers, you can bypass the die order allocation with judicious placement of your warlord. Another nifty point is that units can activate multiple times. So you can take that elite unit of troops and go all out in a fight if needed. 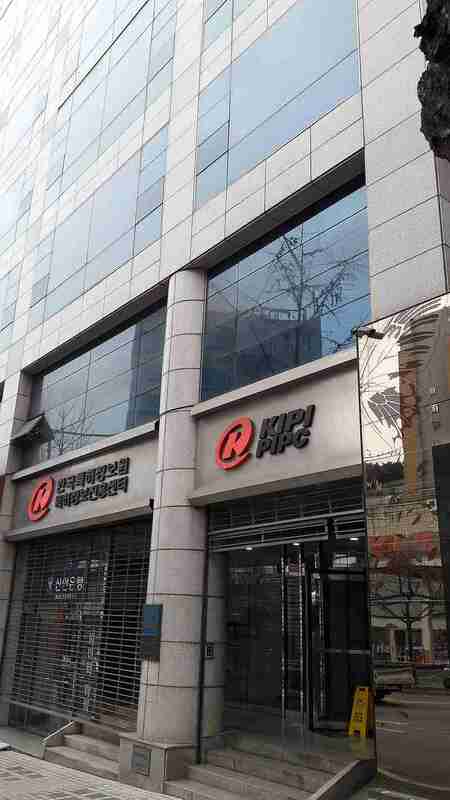 However each order beyond the first accumulates fatigue. 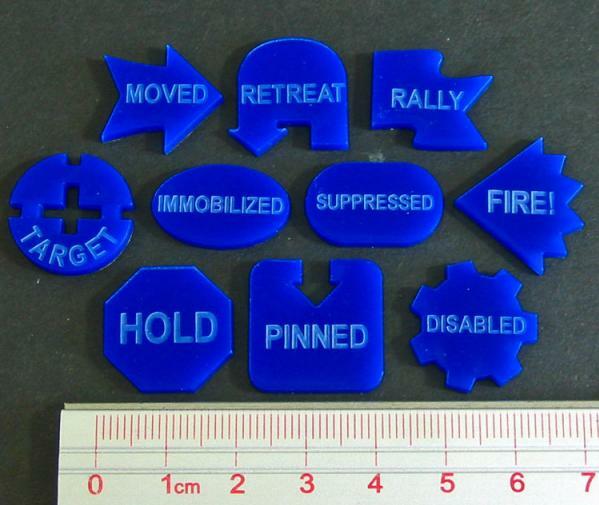 Units also get a fatigue marker for shooting or being in melee. Fatigue can also be gained if nearby units are wiped out. 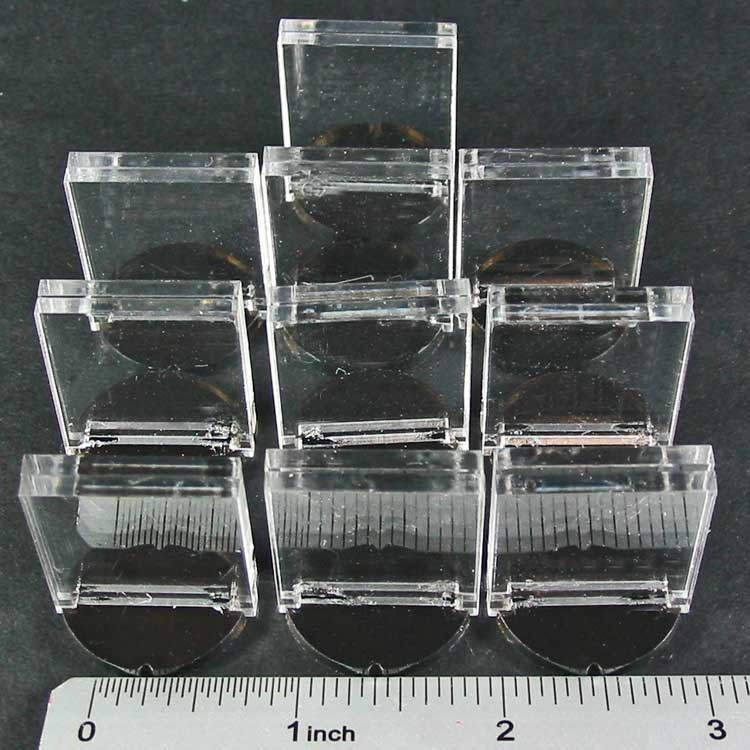 If a unit has a certain amount of fatigue (which varies depending on the unit quality) it cannot do anything but rest, removing a fatigue token while it does so. If attacked while fatigued, the unit will also fight significantly less effectively. Essentially it incorporates some aspect of morale for units. Fatigue can also be spent by your opponent. They can be used to decrease a unit’s combat effectiveness in a melee, or be spent to increase the likelihood an enemy will land a blow. This all adds a tactical layer to the game making it very engaging. If I push a unit to move and attack, I’m decreasing the chances I can use it again on later turns. Even worse, an opponent could use that accumulated fatigue against me if that unit is charged by the enemy. Meanwhile, my opponent seriously has to think about that decision of using my fatigue. If they can’t inflict significant casualties, my unit will be able to activate on future turns (as they’ve removed fatigue markers on my unit). This is a really cool feature of the game and allows both sides to be involved, despite it being one person’s ‘turn’ to activate their units. Combat is a basic affair. Units roll a single d6 to hit with the number of dice depends on troop type, where elite warriors might roll two dice per man, to rolling a single die per 3 models for levies. Warlords are a force unto themselves generating 5 melee attack dice for a single model. Both shooting and melee work against equaling or exceeding a specific number (again more elite units are harder to hit, compared to easier, lesser-trained troops). For each successful hit, the dice are passed to the defender and they can try to make a save, either 4+ or 5+ depending on it being shooting or melee, respectively. The composition of the force is points-based, with a typical warband ranging from 4-6 points and your warlord being free. Units range from a minimum of 4 models up to a maximum of 12. Units are bought in groups where elite trained warriors are in groups of 4, warriors as units of 8, and levies as a single group of 12. For each unit you have, you get one saga die. Your warlord automatically gives you 2 saga dice and levies offer no dice if you field them. As force composition goes, it’s an elegant system to ensure a fair fight and something to carefully consider. As you lose units, you lose saga dice reducing your tactical options. 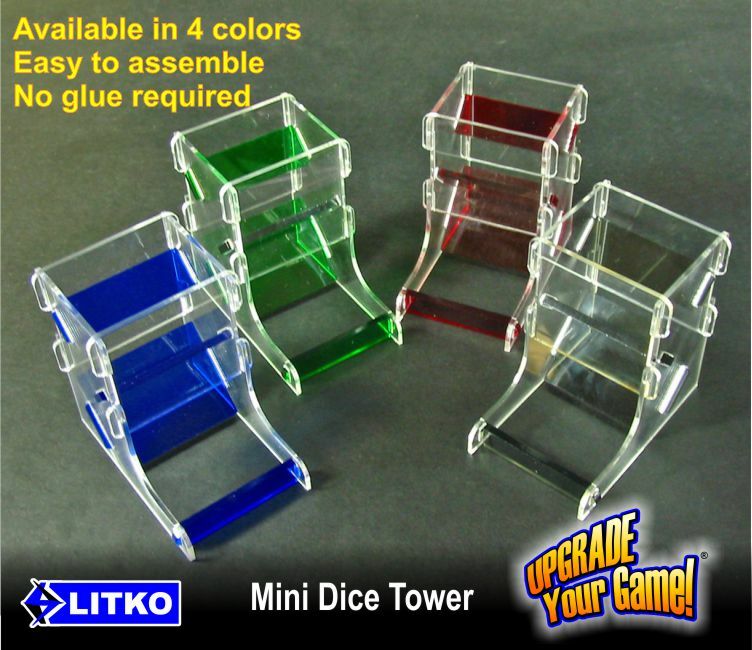 Smaller units are cheaper and generate more dice compared to larger, well-trained units, but suffer from being more easily wiped out. Likewise the cheap, large units of levies might be able to soak up a lot of fire and casualties but don’t award any order dice. The game details 6 simple scenarios, with a bonus multiplayer/faction one. Rules are provided for even larger engagements of up to 12 points. 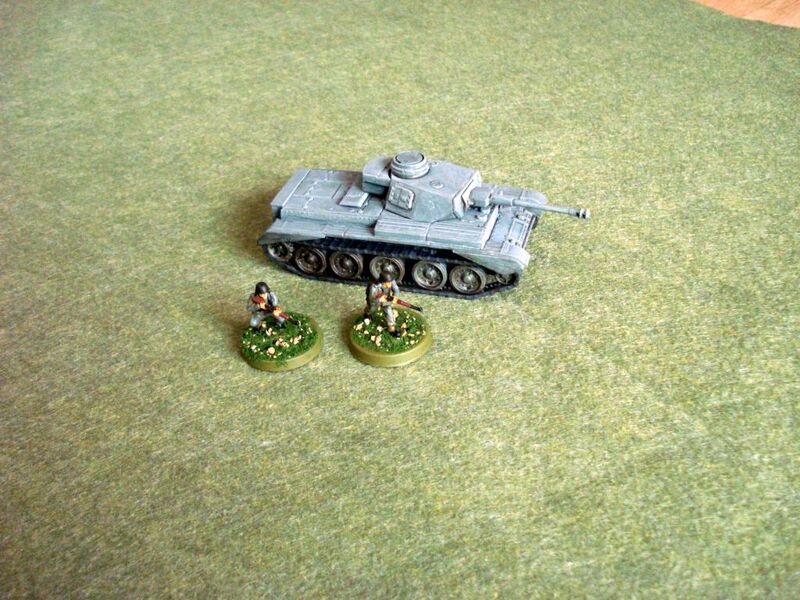 The scenarios range from simple battles for the field to others requiring the taking of terrain objectives. There is even a scenario where an attacker tries to steal a baggage train from the defender. Out of the book there are 4 factions: Anglo-Danish, Normans, Vikings and Celts. 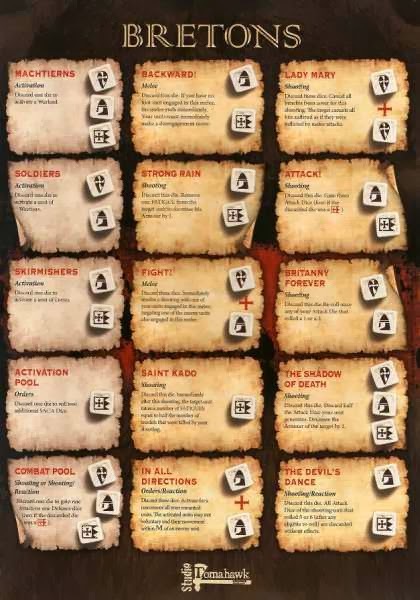 Aside from each faction gaining a unique battle board, every group has special rules. Special heroic warlords can also be bought with rules for fielding these larger-than-life warrior leaders. 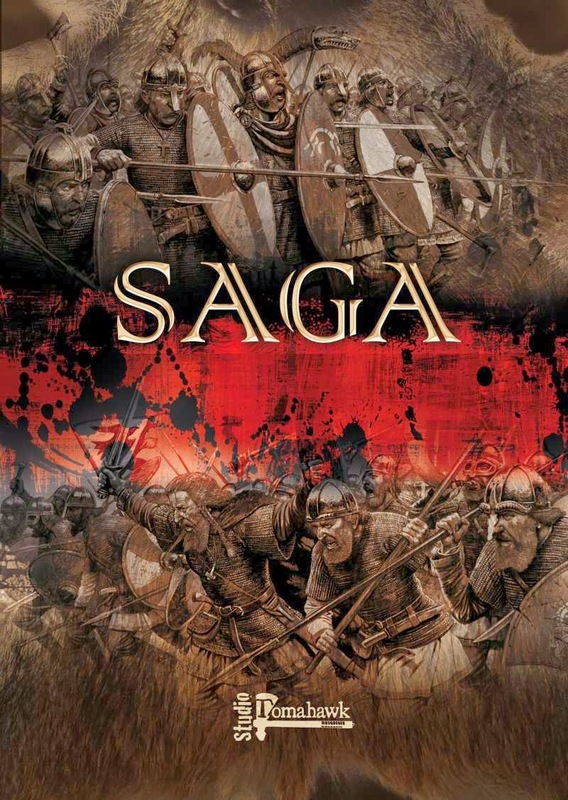 The Good – SAGA is an enjoyable skirmish medieval game. It moves and plays unit based, melee combat very well. The order allocation and fatigue mechanisms are interesting ideas and provide a dynamic experience on the tabletop. It provides just the right mix of varying leadership and uncertainty of executing orders through a different process from other games. The book is well written with lots of examples. The photography of colored models is quite nice. The softback book is printed on quality, glossy paper with oversized pages. The battle boards themselves are decent cardstock and look like they can take some handling wear. 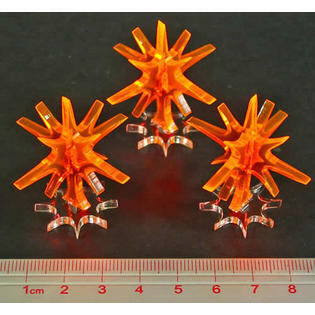 The Bad – Some might consider the special SAGA dice somewhat a gimmick. There are rules and charts for converting the die results to a normal d6. Still it’s a bit of a chore interpreting the symbol on the faction boards with a specific die roll, and the dice set themselves are pretty expensive. Every faction revolves around a separate battle board. There is not a copy of the board within the rulebook so if you lose one, you’ve effectively lost the ability to play that faction. This relates somewhat to the overall expense of the book. You are paying about $40 for a 72 page softback book (with a fair amount of whitespace on the layout of each page) and a few special cardstock charts. Compared to something like the quality of Osprey’s Bolt Action rulebook, it’s pretty steep. 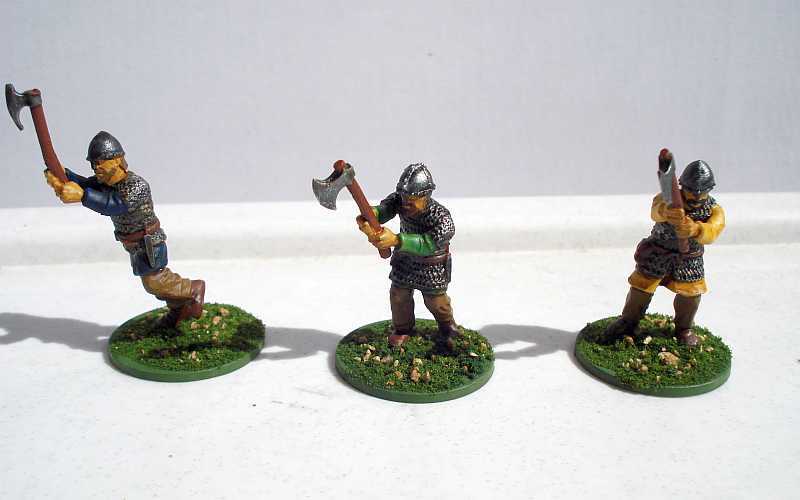 I’m also put off a bit a little by the cheapness of Gripping Beast related to what is available for SAGA online. Clearly piracy is on their minds, with no online resources for PDF versions of their battle boards (and none in the rulebook itself). There is also this adherence of using special dice for each faction (instead of offering pre-made charts that could work with regular d6). 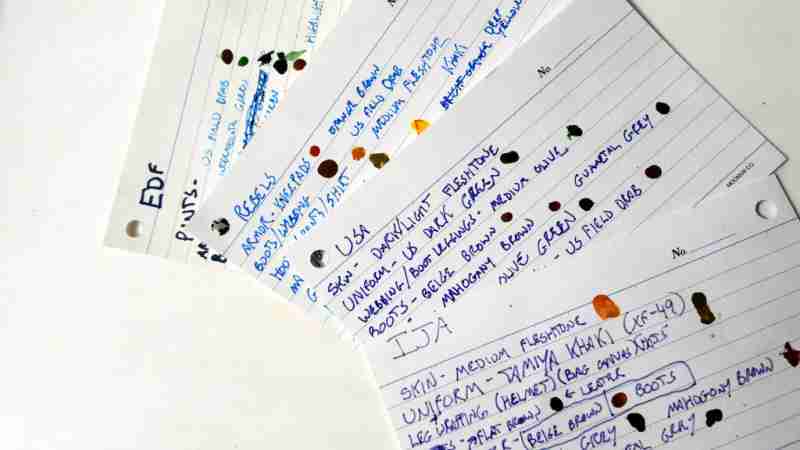 The rules are simple and sparse, with much of the meat of how a faction works parsed off to a single page. It seems that they want to push people buying a set of rules that are a tad overpriced for what you actually get, with limited online support like copies of the faction boards. The Verdict – While I complain some on the relative cost of the book, and the push for using special order dice, SAGA is a good game. 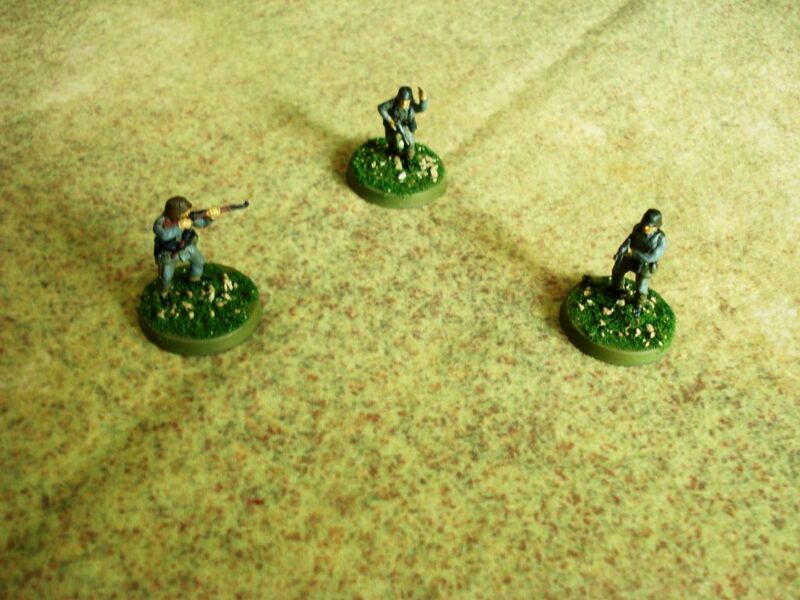 It offers a very engaging system for medieval skirmish wargame action. The order and fatigue system allows for play that’s surprisingly dynamic in action. Despite the limited number of factions in the book, each one has some truly unique abilities giving what would be simply a mob of armored men, some different tactical abilities on the battlefield. I really like this game. 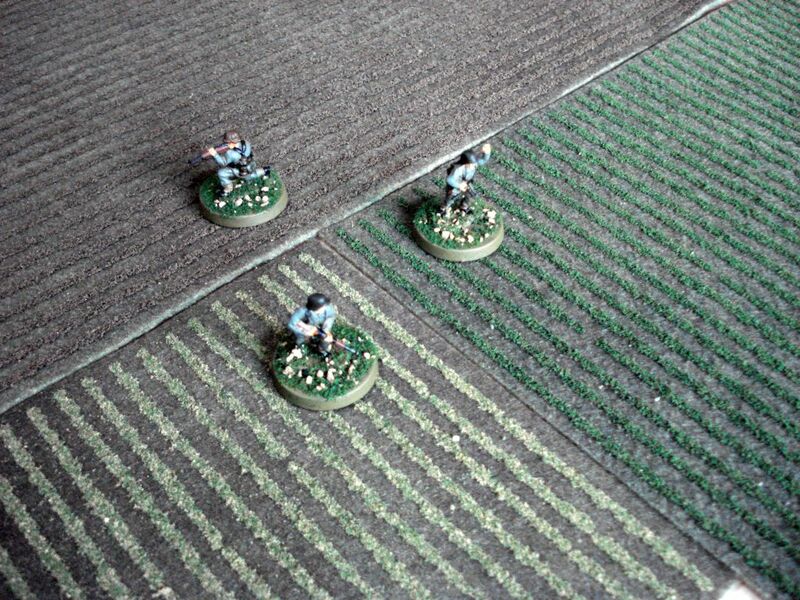 It brings something different to the table in relation to historical skirmish games. The rules are simple and easy to grasp. All the while, choosing what abilities to assign to your troops and when to use them is a challenging tactical experience. Additionally, you may have to consider the limited orders and maneuvering you can accomplish during a single turn, meaning strategic planning is needed to execute complicated moves. It’s surprisingly deep for what appears to be a simple rule system. 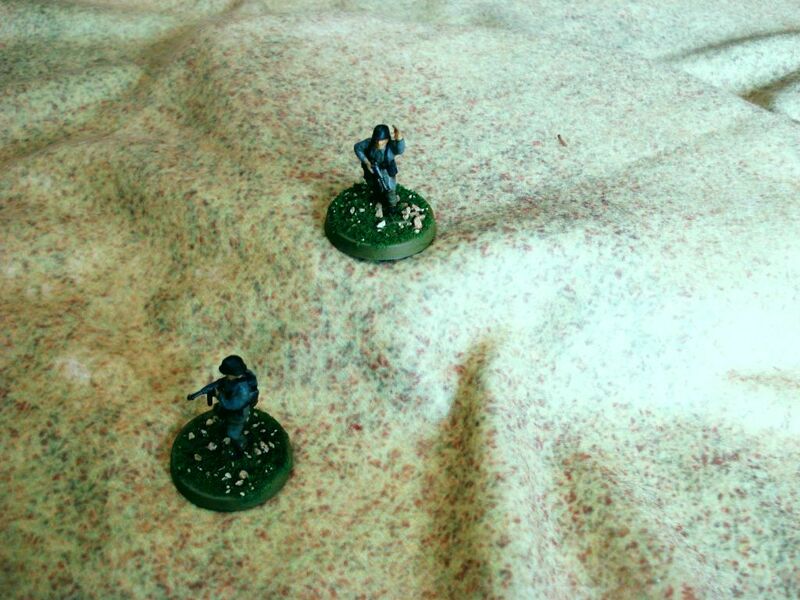 If you’ve had a fancy of dabbling into historical wargaming, SAGA is a great system. There are some dings to how the rules are presented and the peripheral items needed for the tabletop. However with a little work they can be bypassed. It really is an enjoyable game with a pretty low model count to make for a fun afternoon on the table battlefield. Consider picking up these rules if you’ve got the itch to have men cry for Valhalla over the clash of steel and crashing of bodies into a shield wall.